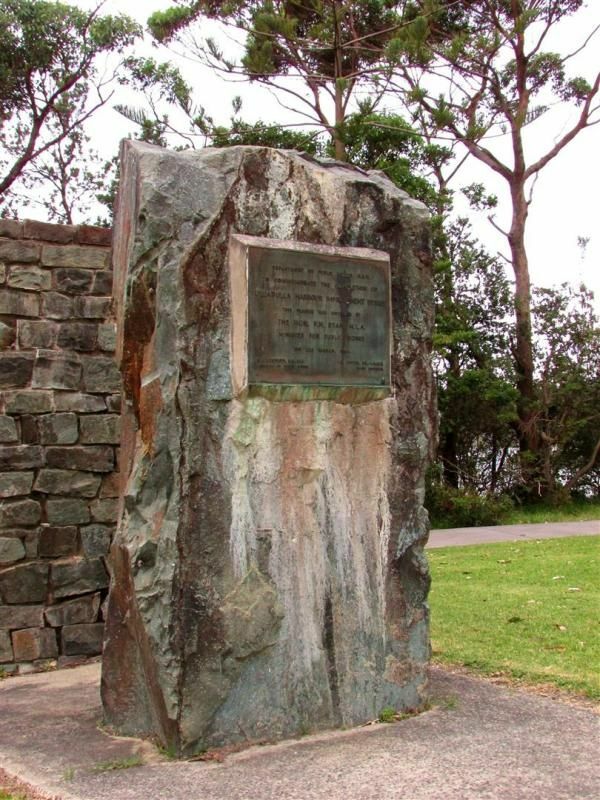 A monument commemorates the completion of the Ulladulla Harbour Improvement Works in 1964. 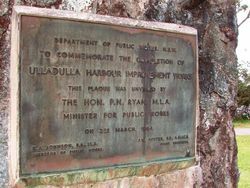 To improve the harbour for all its users, the Public Works Department started work on 1960 on two breakwaters which extended from the northern and southern headlands at the harbour entrance. 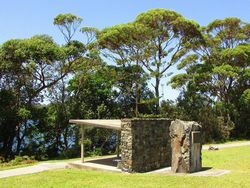 These breakwaters whose design was assisted by model testing at the Public Works Depratment's Manly hydraulics laboratory, more than doubled the area of shelter in the harbour. The work was completed in 1964 at a total cost of $188,040. 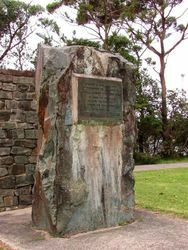 DEPARTMENT OF PUBLIC WORKS N.S.W. R.A. Johnson B.A., L.L.B. F.W. Potter A.M.I.C.E. Director of Public Works. Chief Engineer.